We would like to introduce you the PRO Remarketing add-on. 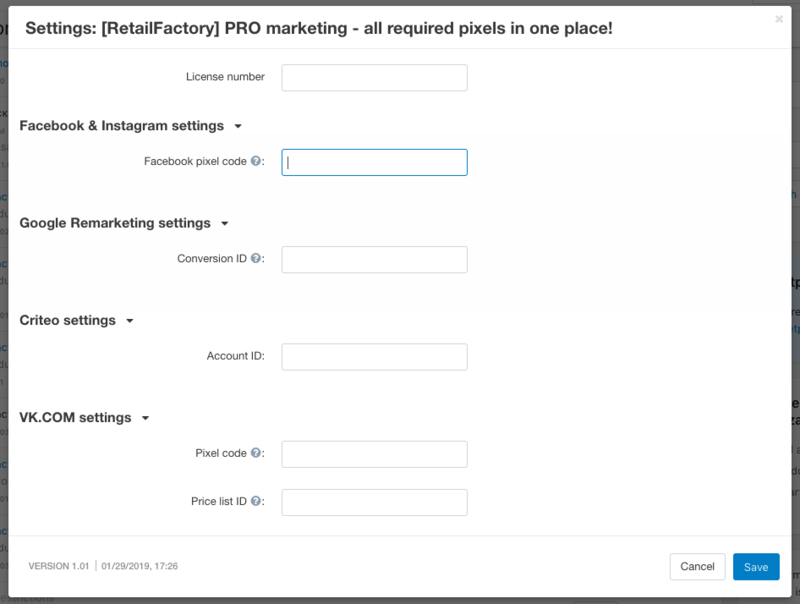 This add-on integrates CS-Cart store with all required pixels - Facebook pixel, Google Adwords Remarketing tag and Criteo.com. Now you can add all required pixels in few minutes. If you like to add another advertising platform or pixel, please leave comment below. We would be happy for any comment and suggestion. PRO Remarketing add-on on RetailFactory.ru store.